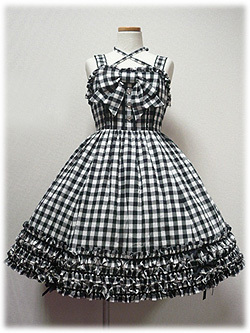 Angelic Pretty Lovely Gingham JSK. Partial shirring at the back, straps are unadjustable. 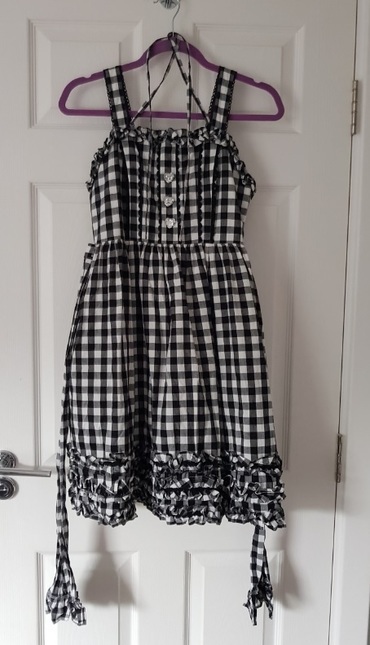 I would not recommend this JSK for people with larger busts due to the lace stitched on the bust panel (see last photo for this detailing), as the stitching will flatten the bust. 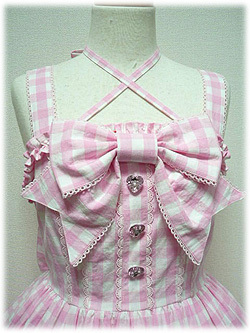 Detachable bow is not photographed but will be included. Price is low because that's what I paid for it, it's not a reflection of condition.